Does Buy Term and Invest the Difference Still Work? In 1957, the founder of our wealth management firm read a book that changed the course of his life and inspired the birth of what we now call Marotta Wealth Management. 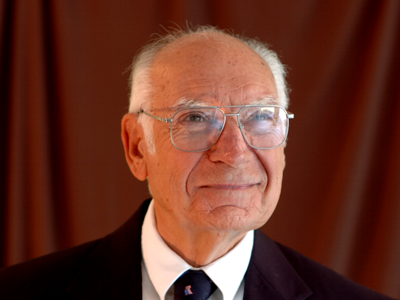 The book George Marotta read many years ago convinced him to invest the difference between high-cost whole life insurance and low-cost term insurance. These investments compounded not only their value but also confirmed the belief that individual investors can succeed by following simple and low-cost strategies. The “buy term and invest the difference” strategy was created as a defense against legions of well-intentioned but poorly educated life insurance agents. According to these friendly faces (of whom I once numbered), whole life insurance gives you the best of both worlds. It protects your loved ones and provides you with a healthy and stable return on your investment. The only part we left out of the sales pitch was the fat commission, typically 100% of the first year’s premium. Imagine these two strategies competing in a track race. It’s as if one runner were told to wait until the other finished her first lap before beginning. If all or most of your first year insurance premium goes to pay the agent who sold you the policy, little cash value is left in your account. As a comparison, I recently analyzed a client’s $50,000 whole life policy that began in 1976. 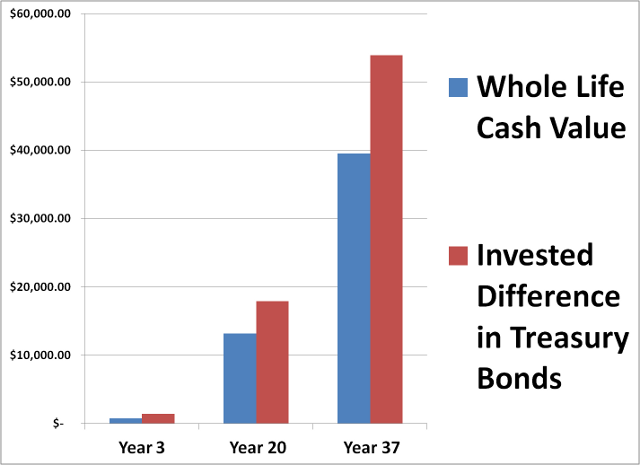 If our client had bought term and invested the difference in a portfolio of 10-year Treasury bonds, his conservatively invested bond portfolio would have earned over 28% more than the cash value of the life insurance policy after 37 years. Consider this investment from the perspective of the life insurance company. Life insurance companies are bound by industry regulations to follow conservative investment strategies. To maintain their state accreditation and insurance rating, they must focus most of their portfolio on investment-grade bonds. An individual investor who invests directly in a low-cost bond portfolio should expect to outperform an insurance company’s portfolio after overhead and fees are subtracted. This connection between long-term bond portfolio returns and whole life insurance is particularly unsettling for those who study the fixed-income markets. Experts don’t expect future bonds returns to equal what we’ve experienced in the past. Bonds were yielding over 6% (and as high as 15%) for the great majority of the last forty years. But the conditions that supported higher insurance dividend rates no longer exist today. The 30-year Treasury bond currently yields a suppressed 3.75%. This low interest rate reality will drag on the performance of future permanent life insurance returns. The life insurance industry also promotes the benefits of tax deferral in their permanent products. Don’t buy it. You are better off investing in Roth IRAs. If your income levels exclude you from participating in Roths, nondeductible IRAs, municipal bonds, or Warren Buffet’s Berkshire Hathaway (BRK.B) stock that refrains from paying taxable dividends are all superior options. If you are in need of life insurance advice, start by working with a fee-only financial advisor whose opinion is not clouded by commissions. The case for buy term and invest the difference remains as rock solid today as it did when our founder began investing.